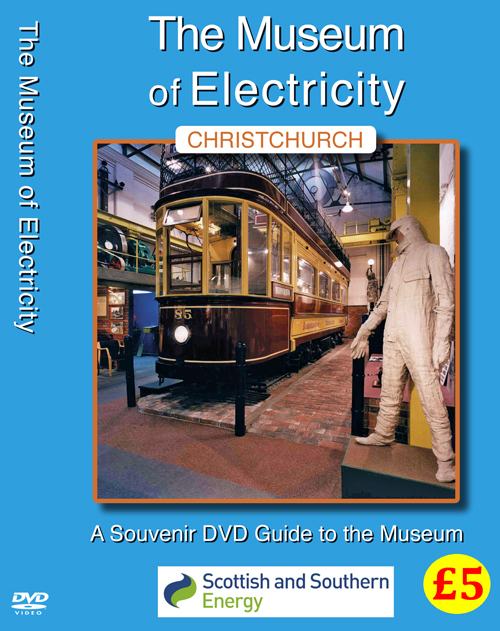 Tucked away in the centre of Christchurch, The Museum of Electricity has fascinated and delighted both locals and holiday makers over the years. Very many will remember visiting with their school during the long winter months. Just about anything electrical could be found within this former power station - pretty much the full story of electricity from the earliest of times. Opened in 1902 (the same year as its equivalent museum in Sydney, Australia), it powered the trams from Christchurch to Bournemouth. A lovingly restored tram has had pride of place in the Museum - until now. Sadly it is highly unlikely that this wonderful free educational resource will ever open its doors again. As luck would have it, there is still an opportunity to see it just as it was. Local film maker, Eric Montague has brought it to life with a full length DVD that provides a gripping insight into the Museum. In a series of chapters we can visit all parts of the exhibition in the company of an expert guide. We even learn how to make electricity from a grapefruit! PAL, Widescreen, running time 55 minutes.